Today's manufacturing environment is continuously changing due to customer demands. This results in new equipment technology being implemented into the manufacturing process to produce higher-quality, cost-effective products while operating on lean budgets with limited human resources. Our turnkey capabilities allow us to implement the DEenergize Lockout/Tagout Program into our customers' safety initiatives. We are able to provide the machine-specific Lockout procedures, which include equipment energy mapping, writing the procedures, developing both the lockout placards and Energy Source identification tags, and finally, installation. Our approach to safety is Program-oriented, going well beyond producing Lockout placards. We also develop Lockout/Tagout Standards, reference guides, and offer training to both the Affected Employee and the Authorized Employee. All of this is accomplished with input from our clients in order to meet their expectations while utilizing the DEenergize team as their in-house resource. The end results are a complete Safety Program implemented and maintained with our customers having the choice to be vendor independent if they so desire. 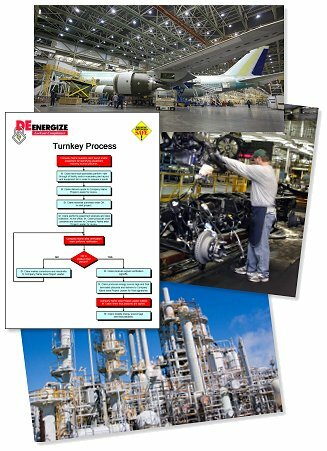 To inquire about DEenergize Lockout/Tagout Turnkey Programs or other related Lockout services, please use the Contact Information page.